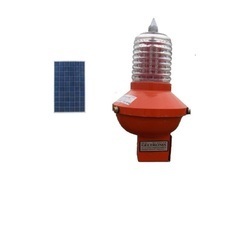 We are the leading manufacturer of LED Solar Aviation Lights since from 1988.We regularly supply led type aviation light to govt. sector unit such as BSNL,Microwave project, ITI, Civil Wing of BSNL, Soma Network , ECIL, NTPC, Air Force,Prasar Bharati (Door Darshan), ONGC, Microqual Ltd. We also provide this product to the PSUs such as Shri Cement, ESSAR limited, Affcon, Indorama, Cement Sanghi Cement, RSWM, Birla cement and Greta Energy,L & T Ltd and many more in India We also extend our business to Gulf countries and South Africa.we have a well established highly qualified technically staff and with testing equipment and friendly atmosphere and research regularly for improving quality and working life of our product. We are the leading manufacturer of Aviation LED Light since from 1988.We regularly supply led type aviation light to govt. sector unit such as BSNL,Microwave project, ITI, Civil Wing of BSNL, Soma Network , ECIL, NTPC, Air Force,Prasar Bharati (Door Darshan), ONGC, Microqual Ltd. We also provide this product to the PSUs such as Shri Cement, ESSAR limited, Affcon, Indorama, Cement Sanghi Cement, RSWM, Birla cement and Greta Energy,L & T Ltd and many more in India We also extend our business to Gulf countries and South Africa.we have a well established highly qualified technically staff and with testing equipment and friendly atmosphere and research regularly for improving quality and working life of our product. Input Voltage 180 - 280V AC or 40 - 58V DC or solar panel 12V DC. 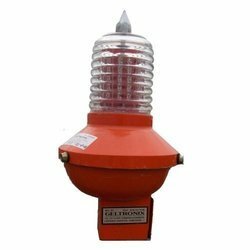 We are the leading manufacturer of Aviation Lights since from 1988.We regularly supply led type aviation light to govt. sector unit such as BSNL,Microwave project, ITI, Civil Wing of BSNL, Soma Network , ECIL, NTPC, Air Force,Prasar Bharati (Door Darshan), ONGC, Microqual Ltd. We also provide this product to the PSUs such as Shri Cement, ESSAR limited, Affcon, Indorama, Cement Sanghi Cement, RSWM, Birla cement and Greta Energy,L & T Ltd and many more in India We also extend our business to Gulf countries and South Africa.we have a well established highly qualified technically staff and with testing equipment and friendly atmosphere and research regularly for improving quality and working life of our product. we are leading manufacture of Single LED Aviation Lamp. 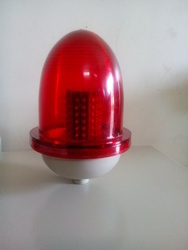 its use on highrise building , tower, crane, chimney, wind mill, mountain, for signal warning for aircraft and helicopters or any flying thing. we have ready stock. we have it red, white, yellow, blue colors. Looking for Aviation Light ?